In September I was super busy every weekend so I didn’t have much time to bake. One weekend I was in Pittsburgh for my brother’s wedding, another weekend I was in Pittsburgh for my best friend’s wedding, and another weekend we went to DC for an event. SO when the first weekend of October rolled around I decided it was going to be a total baking weekend. I planned a lot of fun pumpkin, pear, and Halloween items. I figured I could take some of them to work on Monday and I knew the high school was having homecoming that weekend and my neighbor was hosting a party so I figured I could donate the rest of the goodies to her homecoming party. 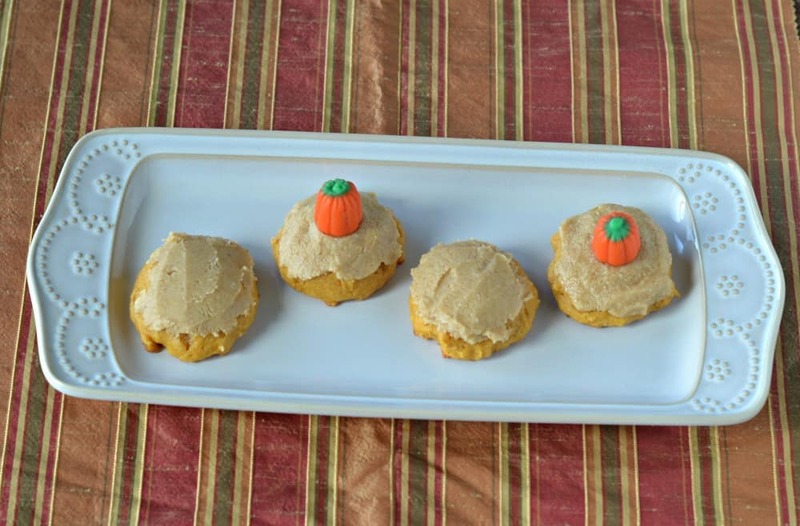 One of the first items I had to make was a pumpkin treat for our What’s Baking? challenge this month, hosted by Carrie of Carrie’s Sweet Life. She chose pumpkin as our October theme which I thought was perfect. I knew I wanted to make some type of pumpkin cookie but I wanted to make it a little bit tastier. I saw a recipe for pumpkin cookies that had brown butter frosting on top of them. I’m such a sucker for brown butter frosting. I actually made the frosting first so I could taste it before making the cookies. Let me tell you, the frosting is seriously sinful! I probably could have eaten it by the spoonful. 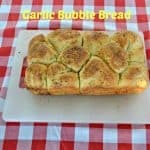 It gets really thick and is sweet but a little salty and nutty from the brown butter. So delicious. 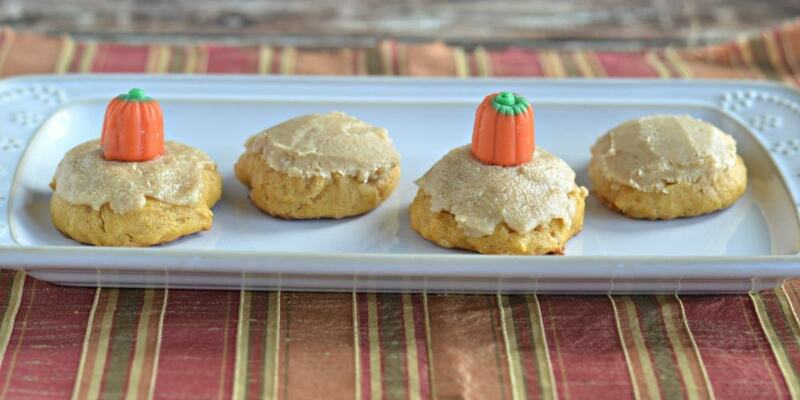 The pumpkin cookies puff up nicely and make a delicious spiced cookie. 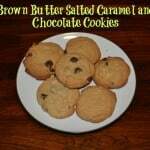 They work well with the flavor from the brown butter. These are one of the best pumpkin cookies I’ve had in a long time. In a medium bowl combine the flour, baking soda, baking powder, pumpkin pie spice and salt. Set aside. In a large bowl cream the butter and sugar. Add in the pumpkin, egg, and vanilla and mix well. Slowly pour the flour mixture into the butter and sugar mixture. Mix until well combined. 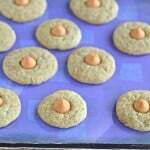 Drop the pumpkin batter onto the cookie sheets by rounded tablespoon. 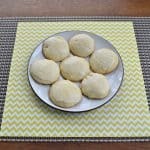 Bake for 15-18 minutes or until the cookies look firm. Remove from oven and cool for 2 minutes before removing to a wire rack. To make the frosting place 1 stick of butter in a small saucepan. Allow it to cook over medium heat. Swirl the pan occasionally and check the color until it begins to brown. Once it starts to brown begin swirling it constantly until it's a golden brown and smells nutty. Remove from heat. Add in the remaining butter and stir until combined. Add in the brown sugar, pumpkin pie spice, and vanilla. Miix well. Slowly add the powdered sugar a half cup at a time, stirring well after each addition, until it is the desired consistency. Spread the frosting on top of the cooled cookies. Filed Under: Cookies, Dessert, Holiday, Pumpkin, What's Baking? Tagged With: brown butter, cookies, dessert, frosting, pumpkin, what's baking? 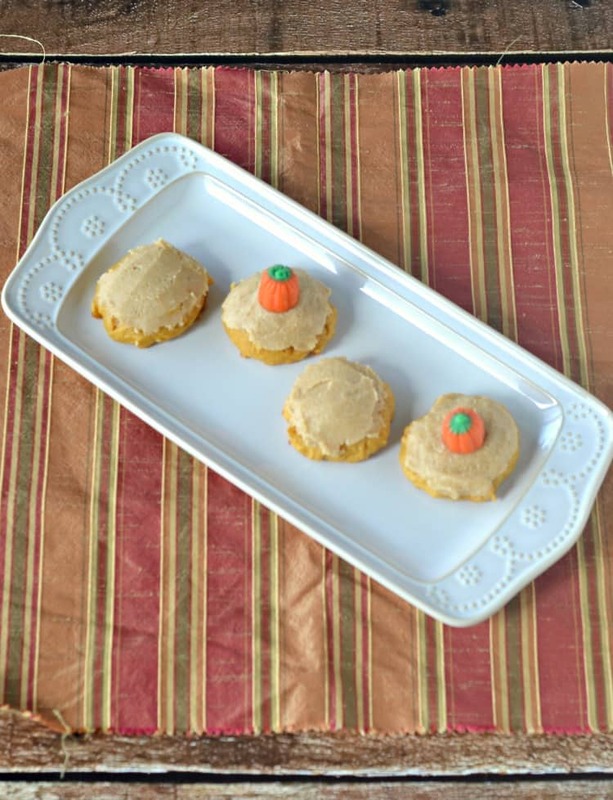 September is very popular month for a wedding, and speaking of pumpkin…totally love the brown butter frosting. Yum!